The European Academy of Allergy and Clinical Immunology (EAACI) was founded in 1956. With nearly 10,000 members from 121 countries and over 50 National Allergy Societies, the EAACI is the main source of expertise in Europe concerning all the different aspects of allergy. The EAACI Annual Congress is Europe’s largest congress specialised in allergy and clinical immunology. It attracts between 7000-8000 participants and experts from all around the world. In 2019, the congress will take place between 1-5 June, in Lisbon, Portugal. We’ve put together this article to give you a glimpse of what you could do while in the beautiful city of Lisbon. Otherwise named “the Tower of St Vincent”, the Torre de Belém is a UNESCO World Heritage Site because of the role it played in the Portuguese maritime discoveries of the era of the Age of Discoveries. Built in the early 16th century, the tower was commissioned by King John II to be part of a defence system and a ceremonial gateway to Lisbon. The tower perfectly reflects the Portuguese Manueline style, while it also incorporates bits of other architectural styles. Also as an example of the Portuguese Late Gothic Manueline style stands The Jerónimos Monastery or Hieronymites Monastery, a former monastery of the Order of Saint Jerome near the Tagus river in the parish of Belém. Built to mark Portugal’s most glorious age which was called ‘The Age of Exploration’, the monastery was classified a UNESCO World Heritage Site, along with the Tower of Belém, in 1983. The museum takes visitors on a 60-minute tour through Lisbon’s history, from its early foundation (pre-ancient Roman days) to modern times. There are special sections dedicated to the Age of Exploration, including New World discoveries, as well as the terrifying 1755 earthquake and the reconstruction that followed. This will be a two-hour journey but it’s definitely worth the time. The Troia Peninsula is one of the most beautiful coastlines of Portugal, with a 13 km stretch of sands, crystal clear waters, sand dunes and pine forests. The main town is at the northern tip of the peninsula and boasts a selection of stylish restaurants and bars, and the Casino de Tróia. Opened in May 2014, the Time Out Market is the first market in the world where everything has been chosen, tasted and tested by an independent panel of journalists and critics. Boasting 24 restaurants, 8 bars, a dozen shops and a high-end music venue dubbed Rive Rouge, the Time Out Market is where you’re sure to find the very best food in Lisbon. In the world of MICE (Meetings, Incentives, Conferences and Events), Congress Bookers provides a whole range of services needed to organize a group for a medical congress. On our website, you will find a full list of hotel allotments for the most important medical congresses in 2019, regardless of their location. We operate internationally! Barcelona is one of the luckiest cities when talking about organizing Congresses. The European Academy for Allergy and Clinical Immunology has chosen Barcelona because of the enormous resources that this city can offer, both in terms of sightseeing and in terms of facilities and accommodation. 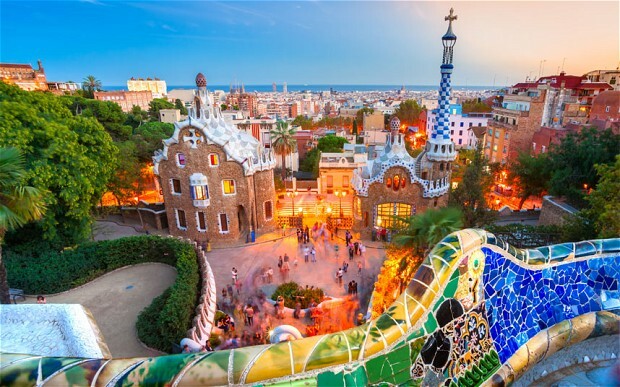 For many of you, EAACI Congress Barcelona 2015 will also be a great chance for visiting the wonders of this Mediterranean Spanish city, for spending an evening on the beach and for discovering the great Spanish cuisine. The previous experience of EAACI in organizing such events will be only in your benefit. Everything should move smooth and easy, all the seminars being held in a relaxed atmosphere. The EAACI intention is to provide the necessary tools for you to be able to create and to expose the relevant knowledge in front of an auditorium. In this way, you will gain reconnaissance and your listeners will discover the results of your researches. EAACI Congress Barcelona 2015 is offering the chance to meet new people, being those doctors, CEOs or pharmaceutical representatives. All of them are here with the sole purpose of obtaining new highly relevant information and to meet new possible partners. Everyone has the chance to discuss their problems, to express the latest clinical situation and to present the solutions they have found. Clinical cases should be discussed, while everyone will search for discovering a break-through in the field.